Sathya Mithra Ashok has over fourteen years of experience, spanning communications, management and strategy, specifically in media organisations, small businesses, social enterprises and non-profits, across three countries and two continents. As part of multinational organisations, she has designed and executed on growth strategies, expanded revenue opportunities and been key in rolling out plans across diverse countries. Passionate about small businesses, micro-enterprises, social enterprises and community organisations, in her most recent roles she has supported them by providing critical input in strategy formation and implementation, and in understanding the unique nature of markets they address. With postgraduate qualifications in mass communications and business administration from AUT, she brings with her proven ability to develop and execute on strategies, build multi-stakeholder relationships, manage resources and finances, and deliver on goals. She took on her role with RiskNZ in June 2018, prior to which she was Operations Manager at New Zealand Global Women. She is also current members of the boards at Dress For Success (Auckland), AUTSA and NZ Hi-Tech Trust. Emily has over 10 years’ experience in various administration roles, from event management, marketing, to outdoor advertising, in both New Zealand and Australia. Emily took the role as the Administration Officer at RiskNZ in January 2019. Prior to this, Emily worked at The Races as the Franchise and Marketing Coordinator. Stephen joined the Royal Air Force in 1986. During 16 years with the RAF he was an A-Cat QFI on the BAe Hawk and a night attack pilot on the Harrier GR7. He was Executive Officer on No1 Fighter Squadron and Wing Commander of Harrier Operations for Joint Force Harrier. He flew nine operational tours in Bosnia, Kosovo and Iraq. After a sabbatical flying business jets in Australia Stephen returned home to New Zealand and served eight years for the RNZAF as Officer Commanding the Pilot Training Squadron; Leader of the Red Checkers; Executive Officer of the RAZAF Operational Headquarters; Director of Flying Standards; NZDF Air Capability and Strategic Relationships. After completing an MBA Stephen moved to the CAA NZ as General Manager Air Transport and Airworthiness and the New Southern Sky Programme; responsible for risk-based regulation, investigation and intervention of the New Zealand commercial airlines sector. 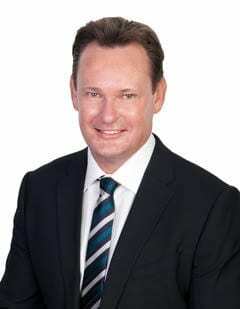 In 2015 Stephen joined Air New Zealand as General Manager of Flight Operations; including the management of operatonal risk across the airline. Stephen is now the managing director of a consulting company specialising in scientific research, strategy, and the integrated management of enterprise risk, particularly in complex high-risk operational business. Brent brings over 17 years experience in occupational risk management and health and safety to Safety Associates. Brent works in partnership with clients, providing practical advice to address health and safety risks and develop strategies to drive improvements in safety culture. He is well regarded as a safety coach and for assisting clients to understand the importance of safety governance, setting clear and understandable safety objectives and providing safety leadership. Brent is also a specialist in health and safety critical event management of serious harm and fatality incidents and works with insurers and legal firms on WorkSafe NZ enforcement matters. Brent was recently appointed to the board of RiskNZ Inc, RiskNZ is the sector body in New Zealand bringing together people and organisations managing risk. I am the Risk Manager for ATEED (Auckland Tourism, Events and Economic Development), an Auckland Council owned company. I am responsible for risk, audit, policy, security, and business continuity. During my 23-years’ experience as a Police Officer, I project managed and implemented two significant national programmes – a new national operational threat assessment model, and a new lessons learnt programme. I was the exercise coordinator for 2 all-of-government counter terrorism exercises, and an exercise evaluator for national exercises. For 6-years I represented the New Zealand Government on the Australasian National Counter Terrorism Committee (NCTC). Prior to retiring from the NZ Police, I managed the NZ Police National Security Office, and was responsible for counter terrorism, national security, counter terrorism exercise planning, organisational security, border security, search and rescue, and disaster security identification. For 3-years I was seconded to the Department for Prime Minister and Cabinet as a senior Policy Advisor. This role required me to write cabinet papers, as well as briefing papers for the Chief Executive and Prime Minister, while at the same time developing national strategies for New Zealand’s security. This involved leading a number of multi-agency senior working groups, as well as completing the business continuity plan for parliament. Prior to joining ATEED, I taught Business Studies, Economics and Accounting at Mount Albert Grammar School. I have a varied academic background, with a Bachelor of Arts (Philosophy and Social Anthropology), and a graduate Diploma in Business from Auckland University, as well as a Diploma in Policing and Diploma in Teaching from Massey University. I am close to finishing a Masters in Strategic Studies from Victoria University. I am the proud dad of ten year old twins, and have been with my long suffering wife for coming up to 30-years. A Cantabrian by birth, and a lover of Wellington, I now thoroughly enjoy living in Auckland. David Turner is a senior business executive and trusted advisor with over 20 years’ experience in the risk management industry. David joined the Australian Army and became part of a specialised team where he deployed to East Timor in 1999. After the military contracted to varied private and government organisations in leadership, risk and project roles; he opened his own company that advised on risk management and provided personnel for major projects including; BHPB, Rio Tinto, Multiplex, Police, Australian Elections, and also CHOGM 2011 working with State and Federal Police. David was born in NZ and returned in 2016 to work on the Transdev Wellington rail network transition. He now lives in New Zealand permanently and has worked with Deloitte, KPMG, Defence, MOJ and PwC. He brings a unique blend of expertise across diverse areas with a focus on risk management of human behavior – one of the more complex, dynamic and often over-looked areas of the industry. I am based in Wellington and have been working in the risk management area with a number of different public sector organisations for the last 20 or so years. I am currently employed as Manager, Risk at the Financial Markets Authority. My main interest in risk management is getting it closely connected to what needs to be done to achieve objectives either at the organisational or team level. My role as Risk NZ Treasurer is to make sure that we make good and prudent use of our financial resources to achieve our objectives. I’ve held a number of roles in the UK and in New Zealand that on the surface seem wildly unconnected, but are strongly invested in building enduring relationships; communicating complex matters simply; connecting people and issues; risk based thinking and managing the unplanned – all with the aim of ensuring good decisions are made that consider a wider context. I’ve held prior roles within the oil industry; local, regional and national government organisations; management consulting, crisis and emergency management and more recently as the GM Risk Integration within Fonterra. I have just returned to the Ministry of Civil Defence and Emergency Management to continue my ‘resilience’ journey. I’m originally from London but now live in Auckland with my husband and 2 teenage children. I love its beaches, but enjoy opportunities to escape the traffic regularly. Kristin’s risk background is wide ranging. She first worked in risk management in the mid 1990s in the food sector primarily focusing on food safety based risks. Since then she has worked in health and safety, risk policy, emergency management, natural hazards, crisis management, high hazard contingency response planning, business continuity and risk communications. While she has mostly worked in New Zealand she has also spent several years working in the middle east. Kristin works locally and internationally, primarily based out of Christchurch. She does spend part of the year based in Ft. Worth, Texas. Kristin is a Certified Emergency Manager and holds Member grade with the Institution of Fire Engineers. She has a B.Sc (Chemistry), Grad. Dip. Emergency Management, M.E. (Fire Engineering), and is a Fellow of the Disaster Science Academy. In 2011 Kristin was inducted into the International Women in Homeland Security & Emergency Management Hall of Fame. Kristin is a senior consultant with WorleyParsons NZ, a senior consultant with STAT-COMM, and the Pacific Chief Executive for Gate Rule. In addition to serving on the RiskNZ Board Kristin is the Vice-President of IAEM (Oceania) and serves on the IAEM International Scholarship Commission. I have always been fascinated by uncertainty and how we chose to manage it. This started at university where I studied natural hazard risk assessment for ‘The Big One’ earthquake in Wellington. After this I started working in emergency management, picking up business continuity management whilst working in contingency management over in the UK. From here it was a natural progression to pick up business risk management and I have never looked back. I now run a private consultancy business providing advice to the NZ energy sector, the forestry sector, central and local government, and small business. I have been an active member of RiskNZ for almost a decade, first joining the New Zealand Society for Risk Management in 2007. In early 2015, I took on the role of Editor for RiskNZ’s professional newsletter – RiskPost, and have been working ever since to broaden how risk practitioners think about all things ‘risky’. Last year I decided to return to University to complete a PhD in disaster risk management. The focus of my research is on how risk informs policy and procedure for Local Government natural hazard management. I am an avid gardener, paua diver, and tramper and live in Wellington with my wife and two sons. I hold a degree in Exploration Science (Mining Engineering and Geology). My interest in risk management started with my first journey down a working underground coal mine. Dire weather conditions during seismic surveys in mountain ranges prompted my career transition into Information Technology (IT). IT projects gave me the opportunity to work with a huge range of organisations. Each project implemented something new, no two projects were the same, and some became world firsts. Introducing new technologies and re-engineering established business practice is inherently risky. My interest in risk management grew as I implemented data analytics and systems to transform the way organisations worked. Large business transformation projects led me into Consultancy and Independent Quality Assurance. In 2014 I was appointed as an external, independent, member of the Audit and Risk Committee for the Parliamentary Counsel Office. In 2015 I and five others founded the Project Quality Assurance Forum. Despite bad weather in mountains, I still love the great outdoors. I have always been a cyclist – an early memory is crashing my tricycle at 3 years old. I live in Wellington and have a small holding in the Tararua ranges where we breed Angus cattle and grow timber trees.